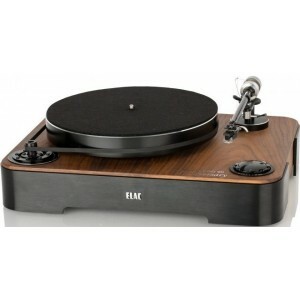 An ELAC icon reborn, this Miracord 90 Anniversary turntable comes in 4 finishes and features sound quality, workmanship and mechanical precision of the highest standards. Earn 2145 loyalty points when you order this item. 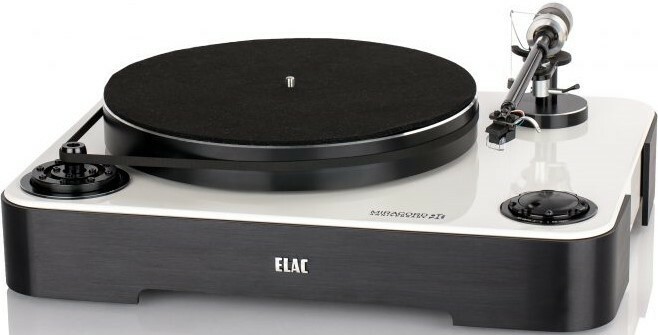 ELAC Miracord 90 Anniversary draws on the legacy of the Miracord which remains an iconic name from the era of the long-playing vinyl disc. It meets the highest standards in terms of sound quality, workmanship and mechanical precision. 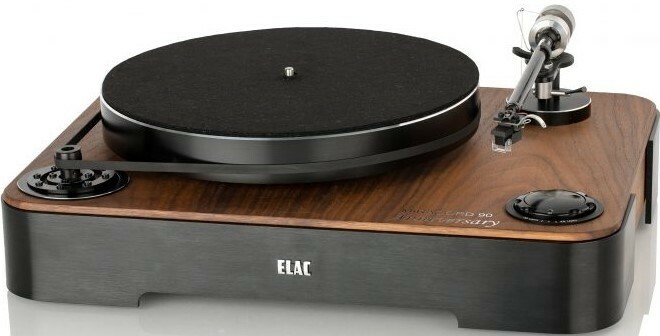 ELAC resurrects a golden era with a turntable to mark its 90th birthday. 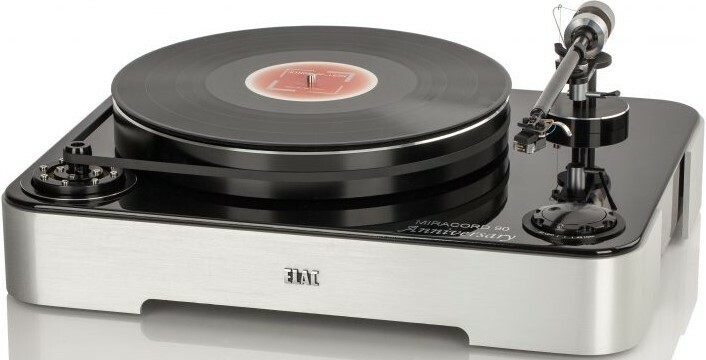 Ninety is the new thirty according to ELAC, and they are celebrating the occasion by saluting the early decades of the company‘s history when their turntables reigned supreme. Memories of those times live on, and not just within their factory walls in Kiel. Designed to deliver the same exceptional listening experience as their loudspeakers, it is a carefully thought-out and systematically executed concept that combines superlative engineering, exquisite build quality and premium materials. The 5.5kg MDF chassis rests on specially developed silicone feet that decouple the deck completely from the surface on which it is placed. The aluminum platter weighs 6.2 kilograms and sits on a sub-platter whose hardened steel axis rotates on a ruby ball that minimises friction. The axis is mounted using high-quality sintered bronze bearing bushings. The motor is double-decoupled from the chassis and, therefore, from the tonearm. Along with the rubber damping, the suspensions employed here use materials that have proven themselves in ELAC speakers. 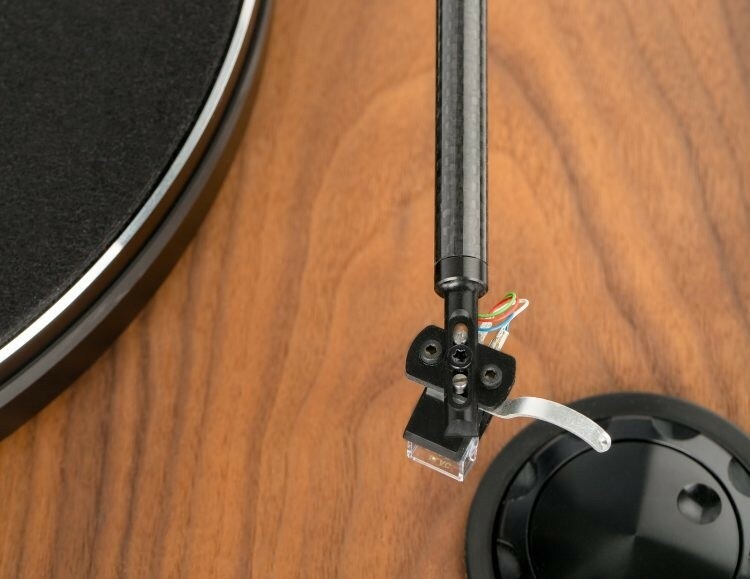 The newly developed tonearm made of carbon-fiber is a perfect match for the drive mechanism. The pickup with its MicroLine stylus was developed specifically for ELAC in cooperation with Audio-Technica and comes as standard with each model. The Miracord 90 Anniversary proves that the tradition of turntable design is very much alive. Especially since ELAC were able to draw on the expertise of engineers from the golden era of the Miracord. They also understand what vinyl fans are looking for. By revisiting the legendary chapter in their history, they are clearly signaling what the market can expect from them in the near future: an expanded product range and, above all, a fascinating addition to the ELAC brand. An external motor drive unit, painstakingly decoupled from the plinth, with belt drive for exceptionally smooth running and the best possible signal-to-noise ratio. The plinth provides high mass and effective internal damping, and is machined from a solid block of MDF. This construction avoids undesirable resonance effects. To suppress external mechanical vibrations that could influence the quality of reproduction, the plinth rests on four elastic feet. The tonearm is an elegant and lightweight carbon-fibre design with a convenient, oil-damped lowering mechanism. The solid bearing housing uses two bronze bushings to center the platter spindle horizontally. The platter rotates as a point load on a ruby ball with a diameter of 8mm. The platter speed is measured optically from the underside of the 6.2 kg platter and precisely regulated by a micro-controller circuit with PID control characteristics. Miracord 90 drive system is elastically connected to the MDF plinth at three points. The motor itself is encased in an aluminum housing and further decoupled by two textile spiders. The motor shaft is fitted with a cambered pulley that automatically centers the belt as it drives the platter. A great deal of attention is always paid to the tonearm due to its complex geometry and because it is the primary intermediary between the vinyl record and the downstream components. It must extract from the record groove all of the information that was stamped or cut into it. The Miracord 90 has an extremely lightweight tonearm tube made of carbon fiber. The other parts of the arm are made of aluminum and brass. The vertical and horizontal axis are mounted on ball bearings. The cables running from the cartridge run inside the tonearm tube and through the hollow vertical axis. 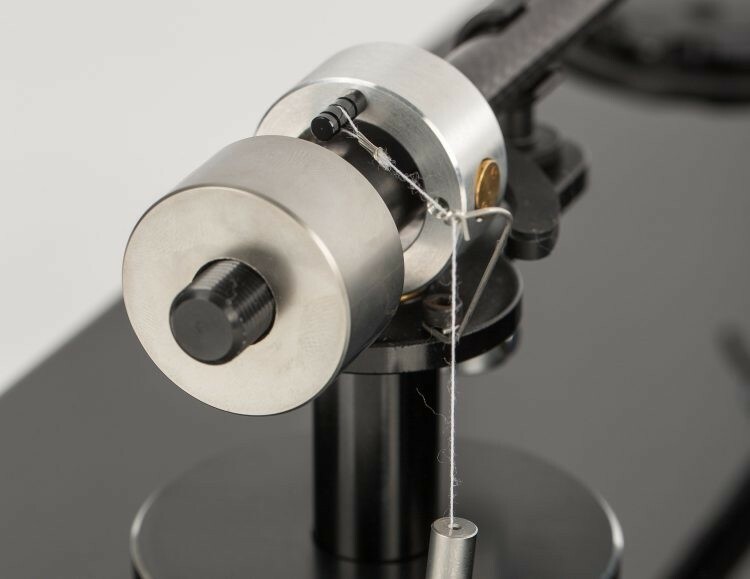 The tonearm‘s low friction radius ensures that movement of the bearing is exceptionally smooth. The complexity of the tonearm geometry is determined by the manner in which the record groove is created. The cutting stylus moves precisely at a vertical angle relative to the surface of the disk and exactly tangential to the center of the disk. However, the tonearm moves radially across the disk. These differing cutting and scanning procedures result in one or two geometric anomalies that can lead to confusion. The TA center-line runs through the tonearm tube towards the center-line of the vertical bearing. The TA effective line runs horizontally from the tip of the stylus to the center-line of the vertical bearing. This means that both lines intersect in the vertical bearing. As a force component, this line represents the shortest distance between both points. Due to the offset design of the TA, in our case, the oblique position of the cartridge system, the effective line runs at an angle past the TA center-line. In our case, the angle is very low (approx. 1° – 1.5°) and it influences the skating force, among other things. It has a sharper contour on its elliptical side, which gives it a longer vertical contact surface. This creates better contact with the very fine modulation structure of the record groove. The Audio-Technica system fitted to the MIRACORD 90 features a own MicroLine diamond stylus. The skating force is the force that drives the tonearm towards the center of the platter. The magnitude of the force depends on the friction between the stylus diamond and the vinyl record, and on the angle of the offset to the TA effective line. (The friction is a product of the tracking force and the friction coefficient. It also varies due to the modulation (mechanical resistance) of the record groove, and due to the type of stylus used, conical, or elliptical). The value can be calculated using the parallelogram of forces. It amounts to approximately 1/10 of the tracking force (approx. 0.1g). Looking at the TA stylus from the front, the left wall of the record groove would always be under greater pressure than the right wall. Reproduction of the left and right channel would be distorted. This is countered by the anti-skating force, designed to keep the TA in the middle of the record groove. On the Miracord 90, the anti-skating force is generated mechanically by a small weight.